Every rider loves to ride on outdoor, but the weather condition is always not fair for us. So that doesn’t mean you should stop cycling for your daily exercise or any important fitness recovery. In truth the bike trainers here come to show their efficiency and of course a great equipment for cycling practice or exercise in your home. That’s why, if you have a bike trainer you don’t need to worry about the condition of outdoor. It could be rainy or so cold! But forget that and hook up your bike into the trainer and start pedaling. Because of the consistency in resistance a trainer provides the same capability or performance as you feel for pedaling on the road. The great role that a bike trainer does, it increases the resistance with the speed of wheelset. That’s why it provides the same experience that something like when we keep pedaling our bike to speed up on the road. There are four major types of bike trainers, those are fluid, magnetic, wind and roller. Although the roller bike trainer is the oldest piece of sports equipment while the fluid, magnetic and wind are the most popular and common sports equipment in the recent era. So after a research we discovered the ten best of them. To keep yourself steady in training we are presenting you the 10 best bike trainers on the market. Their performance and non-faded resistance power will provide an excellent training equipment for your indoor cycling. As well, the portability of them is great as they easily portable and simply can be folded. So don’t worry about the storage and transportation. The Magnet Steel Bike Trainer is the first one among all the bike trainers in this list. This compact design trainer generates very low noise during your training. So you are not about to disturb anyone beside your room. 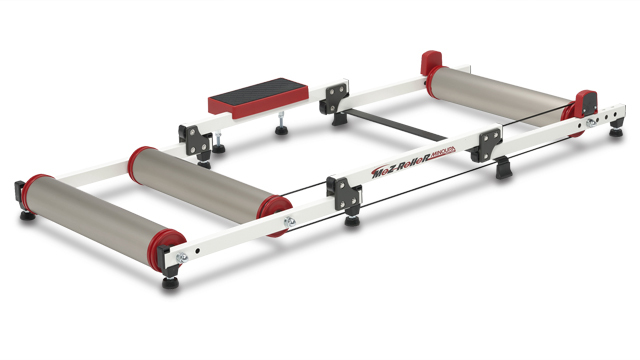 The frame of this trainer has been built out of heavy steel material that is stiff and has the ability to take huge pressure. It also enhances the portability by featuring an easy to fold feature. So if you have any worries about the space of your storage, then this foldable bike trainer normalizes the matter. Even if you need to carry it out anywhere, then you can have the same kind of advantages. It respectively generates lower noises than some of other magnetic trainers while we have found the attractive price of it. In complicated budget other magnetic trainers aren’t as performable as in it and its noise level at least doesn’t bother the other family members. 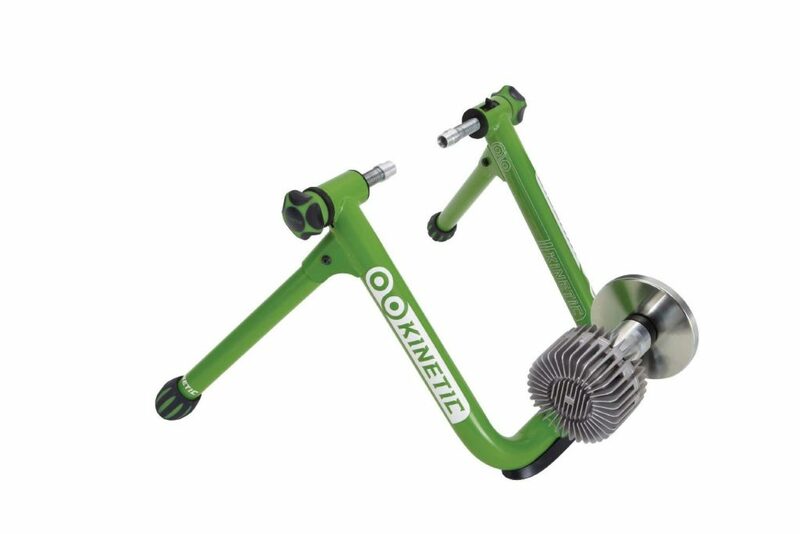 For a magnetic trainer, the quality would be judged how it retains the resistance when you pedal like 40+ kilometer speed. If the resistance turns down at the highest level speed, then you aren’t getting the advantages what you deserve from indoor cycling training. But this magnetic trainer has the dependable side as it is optimized with the art magnet for the retention of resistance at high speed. You can switch the resistance into a few modes. It simplifies how comfortable resistance you want to pedal by your preference. The strong frame keeps the base stable while you would get an extra confident to pedal the bike. The Conquer Indoor Bike Trainer offers a wider frame that adds extra stability during your training whilst the rubber mounting cups ensure it won’t be slipping from its place. The good things that these cups can do, you can put the trainer on any surface with avoiding the risk of slippage and after the training you can quickly release them. As well, it has a quick folding system and you can reliably place it anywhere with the utmost portability. 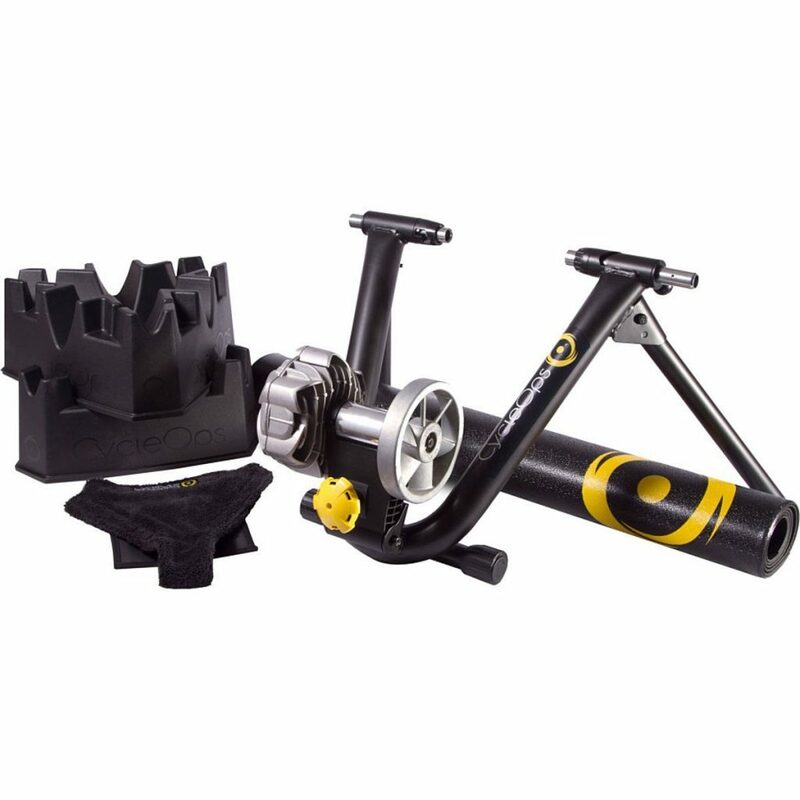 The Conquer bike trainer also increases your comfortability on your training session by featuring a raiser block that keeps raising the front wheel. It mainly accepts the 26 and 27” or any 700c wheelset based bikes. And the magnetic resistance power with your pedaling progress provides you a real experience like you ride a bike with the natural resistance in outdoor. The adjustment and removing system, both are easier and with these versatile options you will have a great indoor training session with avoiding the snow or rain. Additionally, such a bike trainer with versatile features at an affordable cost really a great piece of sports equipment in your budget. It may not completely noiseless, but the minimal or lower than average noise level at least not a sign of discouragement for a successful bike training session. When it drags the wheel, its magnetic wheel optimizes the power of dragging in different levels while you can simply pick the level of your essential resistance by shifting the gears. Wide and strong frame to build up the stability over the floor and it allows you spin the wheels with better confidence. Riser block for the front wheel allows you to enforce better power over the pedal. It accommodates 26in, 27 in and 700c bikes. 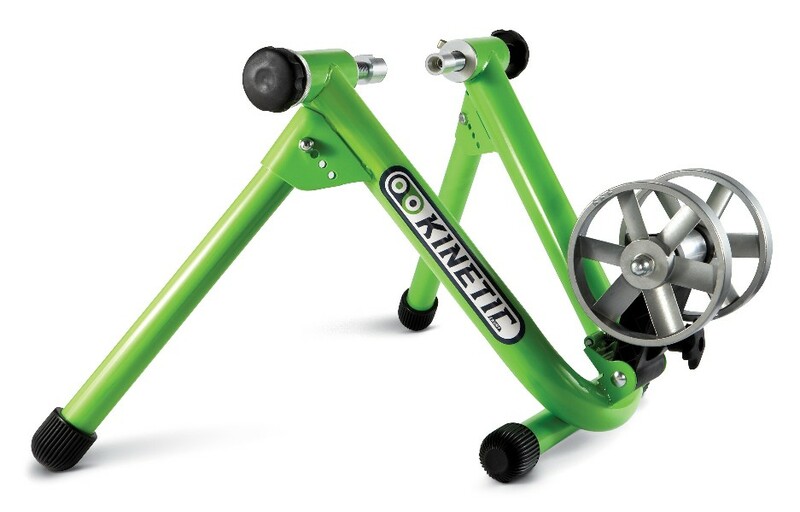 The Kinetic Road Machine 2.0 is one of the greatest fluid bike trainer among all fluid based trainers. You will have a smooth pedaling experience like you do something in the outdoor, because the progressive resistance feature of it offers a smooth and precise pedaling progress. Such a smooth & fluid resistance feature of this trainer works very neatly with the progress of spinning. On the other hand, the design never creates any chance of leakage and that’s why you can use the Kinetic 2.0 without any worries of being it leaked. We have researched five more reviews on YouTube to observe how effective its specifications with the real time performance. In our research there hasn’t been found any major weakness. As a fluid trainer it maintains the foremost specification and the progressive resistance stays progressed with the speed of the wheels. Most of us doubt over the noise level of a trainer. But this fluid trainer beats many other trainers by its low noise and the smoothness with the resistance. It accommodates 22-29 inch wheels what determine alongside the road bikes, most mountain bikes also can be set up into the trainer. Kinetic Inride watt meter to track your workout performance where the heart rate, cadence, speed your burned calories would be monitored. It’s become popular for its excellent resistance ability in the progress of spinning that mainly has been divided into eight levels. So that you can precisely enjoy the train as you love to hit the pedals in your needs. It can load up to 150 kg (included your bike’s weight) that is impressive and as the reason the frames are built out of stiff and heavy steel material. The wheel size that it accepts is 26 inch-28 inch or any bike with the 700c wheels. Additionally, it has an utmost ability to reduce the noise as it has been optimized with a magnetic roller whilst the heat dissipation fan also continues to dissipate the heats. To train with the reliability it comes with an additional rise block that works as a support for the front wheel to raise it. The skewer with quick releasing power also offers a quick removing and adjusting system for the wheel with 100% comfort. And with these great sides its foldable design allows every user to easily carry it out anywhere while the hassle free storage opportunity is a plus. The multiple colors in the same design also make your choice neat. You can find an impressive and yet one of the useful options in this trainer. The resistance adjustment system into eight different modes allow you to pedal with the mode you wish to ride with. Optimize the speed direct from the handlebar that would be like you are naturally riding the bike. Low noise based magnetic power that has decent progress with the multiple level speed. Wide and durable frame that fold and tackle 330 lbs weight with a great stability. The Ohuhu designs a wider frame to add extra stability for a great comfort in training. On the foot it has been wrapped by four rubber caps to avoid the slippage that also an advantage to strongly place it on any surface. It has a reliable resistance setting to set it in your desired level as if you can spin the wheels with necessary resistant. That’s why it is designed with an adjustable bar mount that allows you to control the resistance in your way. Indeed, this is the most needed feature for a bike trainer that’s very effective for precise control. It generates very low noise and can be folded for the portability. The every part of the frame is very stiff whilst the stability is awesome because of wider design. No matter what type of bike you ride just turn the hook up and easily adjust your bike. Even you don’t have to worry about the wheel size because it can be adjusted to a wider range of size(from 24”-28” and 700c). On the other hand, the adjustment is hassle free, just hook up your bike into the trainer then fine-tune the wheelset. 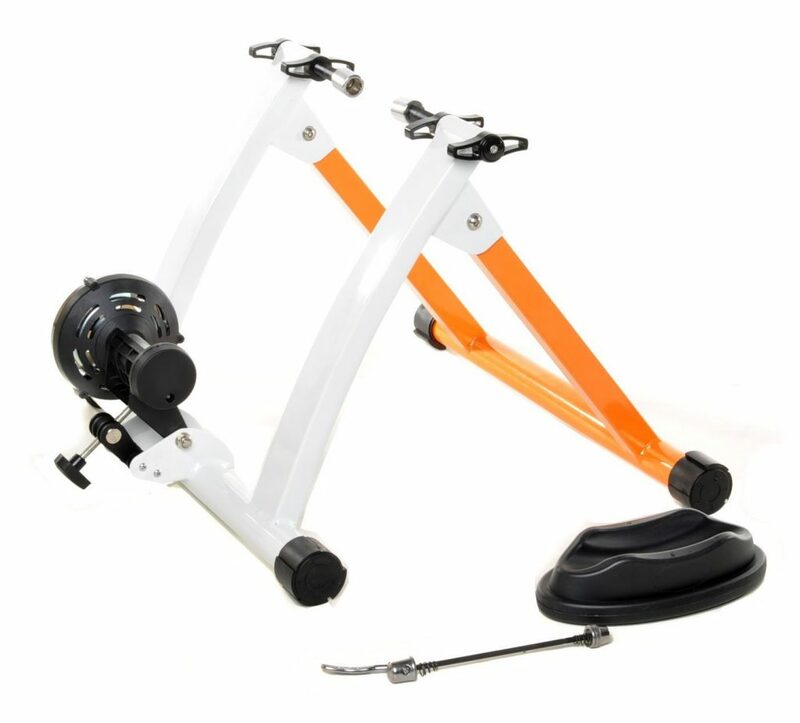 A wheel block is also included with this bike trainer to raise the front wheel. It included a bar mounted remote from where the resistance would be controlled as if you can manually establish the power of resistance. Smooth and no bothering noise. Rubber feet and wider distance between two frames what make it incredibly stable on the floor. Set up the bike easily in the trainer with two axles. 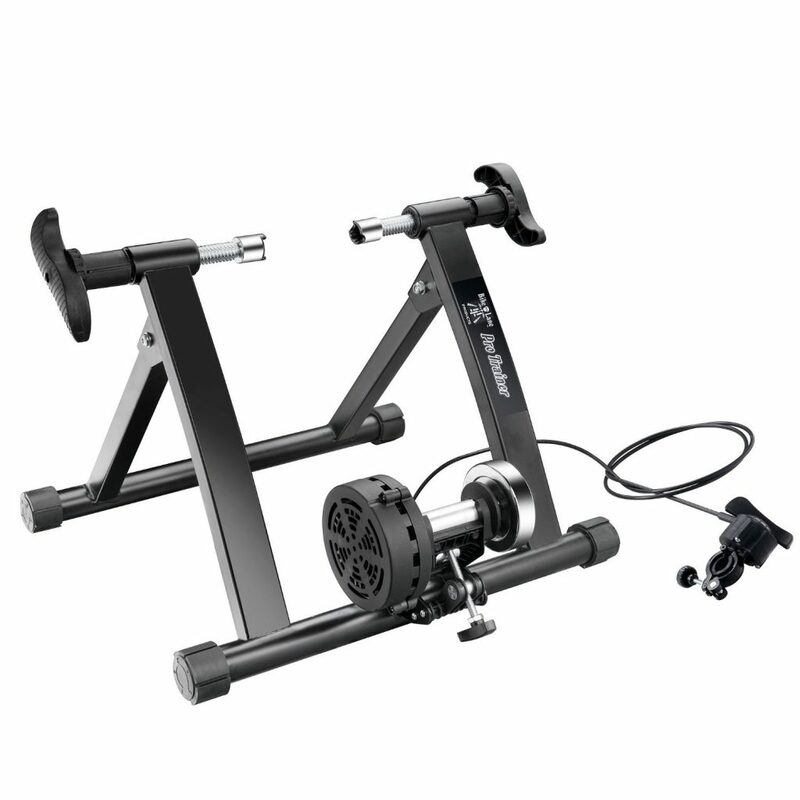 A quite reliable option for indoor bike training, no matter what you train for exercise or recovering the injury, it’s an affordable trainer to meet your needs. Although you need a manual assemble before preparing it, but you can easily set up that. After getting it assembled you can quickly turn it as an indoor bike trainer. A riser block is also included for reliably pedaling while the whole operation of it is quite easy. It automatically increases the resistance with spinning the wheels and you will feel a super consistency in resistance with your pedaling speed. Even you can also increase the resistance by shifting the gear. To get the benefits of portability you can fold it like an ironing board, so that you can carry it out with the pure ease while the storage can be in a small space. The wider legs and stiff construction also increase the stability while the rubber caps greatly work to make it stable on the surface. As usual the adjustment of your bike into the trainer stand quite simple as we said above for the other trainers. Machined steel flywheel smoothens the abrasion into the contact point and the feelings would be like you are riding over a paved surface. Get a completed control from the handlebar through maintaining the power of dragging. Wide base with rubber cap ensures like it is stuck to the floor. 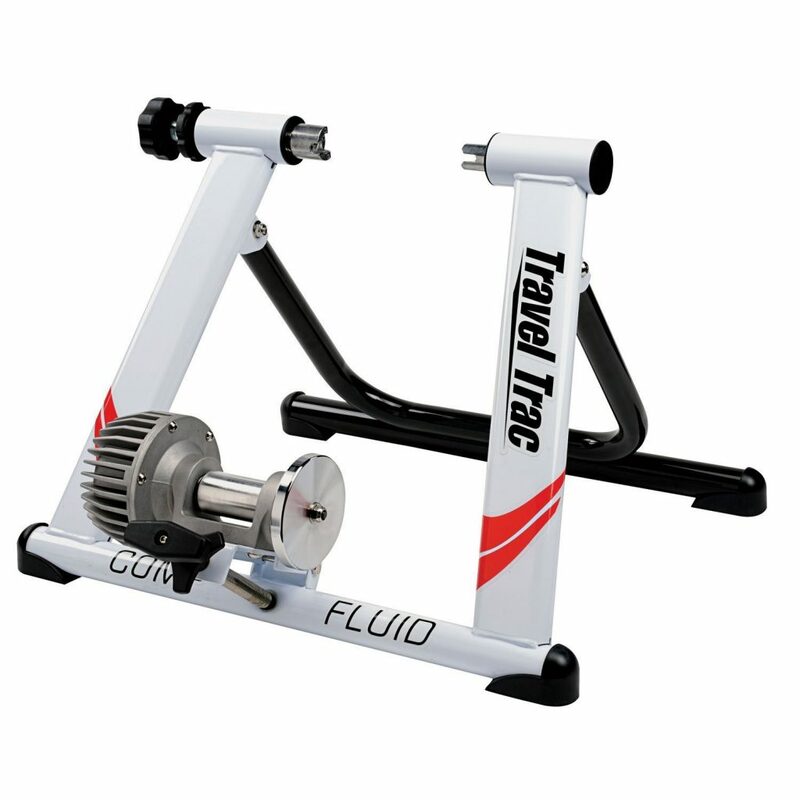 Firstly, you don’t need to feel worried about assembling for this sleek Travel Trac Fluid bike trainer. It comes with fully assembled that means you can quickly start training once you got it in your home. Its extreme fluid based technology increases the resistance in the range of spinning. Additionally, the external flywheel provides a smooth pedaling with an optimal efficiency. To build up the stability it also designs the wider frame with a solid and stable base. So, when you will stand the bike on the surface for training, you will feel the excellent stability. Whether you are a road biker or a commuter, because of this high performance design you can comfortably hook up your road or mountain bike into the trainer. The storage is also quite easy for the design. Because it’s foldable and can be stored and transported with the ultra easiness. Moreover, a skewer on the rear also works to perfectly fit the trainer with wheels. Mostly people don’t pick a fluid trainer because of their complicated budget. But this Travel Tech Comp is great amongst cheap fluid trainers. So if you just lengthen the budget with the amount of buying a magnetic trainer, then you can purchase this fluid trainer. External flywheel smoothens the pedaling and maximizes the activity. No narrowed design and an extra frame added in the base for high end stability. It integrated with an easy removable skewer in the rear for the optimal fit. Is the outside cold or raining for a long time? But you got to keep up the exercise?. So what should you really do? This Cycleops Fluid 2 is designed to meet your needs in such a condition. It generates the noise at a low level that is approximately in the range of 64-68 decibels. Because of the high performance resistance unit it increases the resistance to keep a super combination with the wheel’s speed. It also includes the 2 blocks for the front wheels and a bike thong as a sweat guard whilst an additional trainer mat also helps to properly place it on any surface. For the self cooling purpose, it’s also outfitted with a fan that longevities the performance. Moreover, It is fitted with a wide range of wheel size and if you still feel uncomfortable with the adjustment, you can additionally adjust an adapter. On the other hand, to give you a feeling like riding you road it includes a flywheel. Incredibly reduced noise level what we ensured after analyzing and watching several reviews. They optimized the noise level under 68 decibels to make it as the efficient fluid trainer. Two raiser blocker increases your self activity. A trainer mat to keep the floor sweating free and perfectly stable the trainer over the floor. Undoubted the fluid trainer always features a competent technology to create a stable performance with spinning the wheels. Indeed the fluid resistance system works immensely to provide greater performance with faster ride. That’s why it has an incredible popularity for the workout. 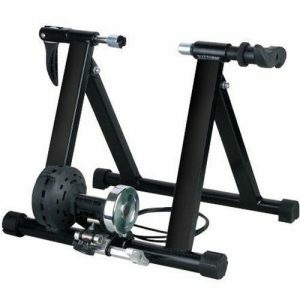 Even among all popular fluid trainers this is the one that provides amazing performance for indoor cycling. Its stiff frame and the progressive resistance efficiency made it one of the great trainer around there. Moreover, when you start workout by it you don’t need any additional thing to change the resistance. Because, you can simply do that by changing the gears. The rear skewer also ensures a perfect fittings with your wheel size. The flywheel also helps to smoothen your pedaling during the spining. As like other talented ones it also generates less noise and smooth vibration because of the rubbered foot. No extensive noise level as the fluid trainer mostly comes optimized with reduced noise. Flywheel for extending the smoothness. The resistance progresses with the speed. This Blackburn Tech Mag 6 is one of the functional bike trainer that comes with six different levels of settings. It looks stylish whilst the construction undoubtedly stiff as it is constructed with the tubular steel frame. 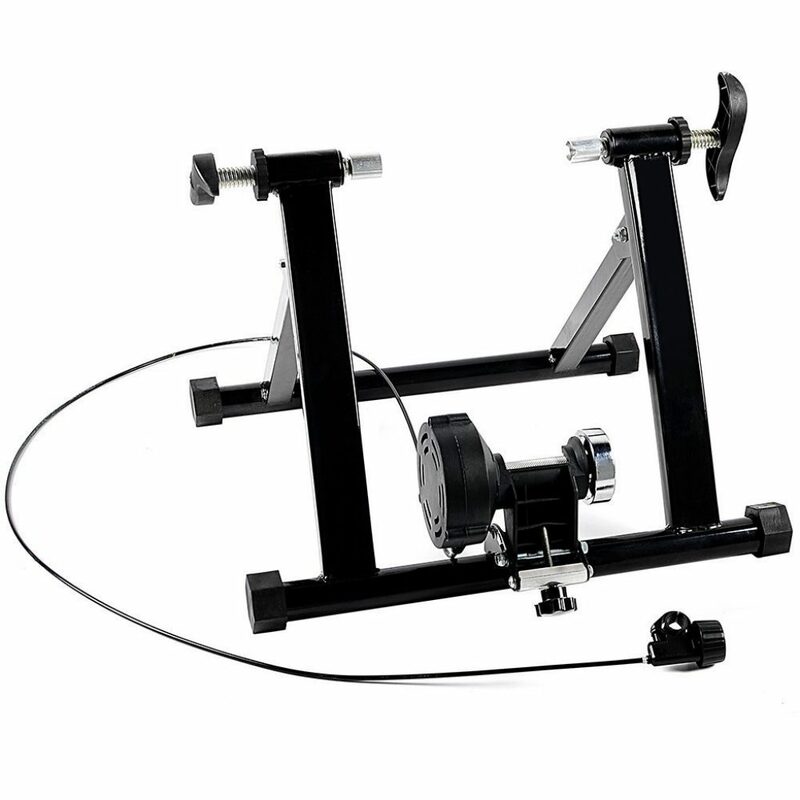 It has been redesigned to provide better performance during your pedaling for speed up while the bar mounting clamp also works to change the resistance in your needs. And of course you can easily hook up your bike by the reliable skewer that brings the same reliability for removing the bike. Adjustable frame to fix a proper height and increase or decrease the height of the rear wheel that establishes the base incredibly. Fluidly magnetic resistance for the smoothness in noises. Multiple settings in resistance to easily find out the suitable level. Undoubtedly, there is no chance of underestimating the amusement or pleasure of cycling. Basically, we like biking for two foremost reasons. Firstly, it offers an amazing exploration for outdoor and either you take the ride in the city or elsewhere in outdoor, it gives a splendid feel. Secondly, it can be an alternative source of workout without going to the gym. Basically, the trainer has been invented considering the necessity of the second reason. Because, some people want to ignore the traffic but want the advantages of cycling. On the other hand, the seasons aren’t usually fair for cycling, especially the lowest temperature, rains and exaggerated temperature of the summer. 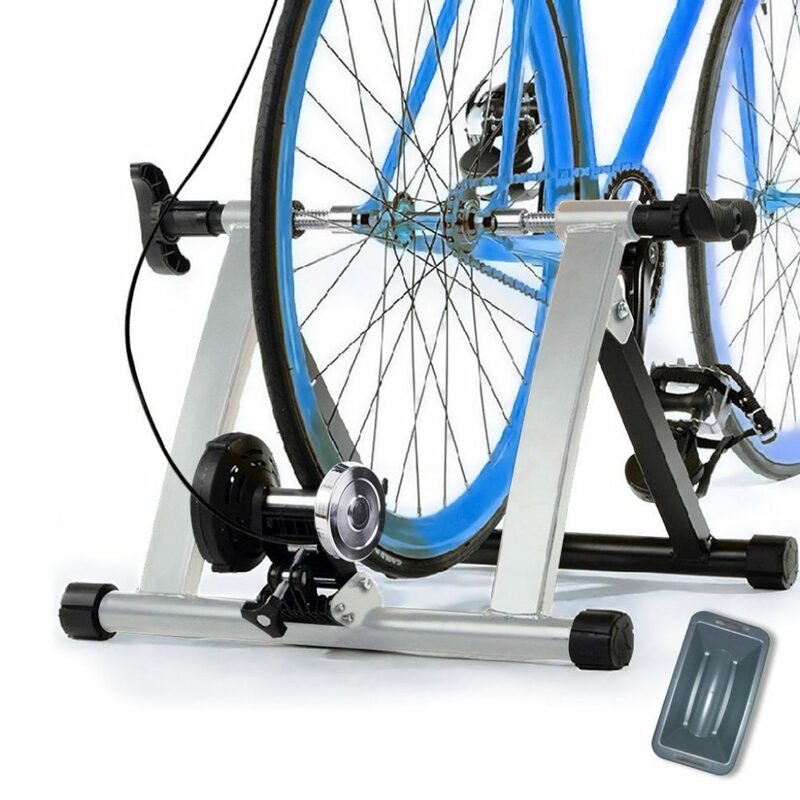 So in this case, to not to make your cycling workout complicated, you can turn the bike like a stationary bike by adding a trainer with your rear wheel. After making a contact with the roller of the trainer, you can feel a resistance in the pedal as the stationary bike offers. This artificial resistance almost has the similarity with natural bike pedaling. Such resistance like it drags up the wheel and ensures you would build up the muscle and cardiovascular health as you deserve from cycling. The task can be done under the roof of the home or in a small room. Some trainers like Kinetic Road Machine 2.0 is even incredibly innovative as it would let you monitor the performance what gives the idea like how many calories you are burning and what is your current heart rate. The bike trainer is all about making resistance over your rear wheel as if you are pedaling like an outdoor bike. There isn’t a minimal difference between the natural resistance of the bike and artificial resistance, both have the same advantages. But the trainer can put the resistance over the rear wheel in several ways as since the invention of the trainers it has been upgraded in several ways only to retain the progress of resistance. We have discovered four different bike trainers that have their own way to make the resistance. Wind Trainers: You won’t find any complicatedness in the mechanism of wind trainers. It uses a flywheel that generates the resistance from the air as it uses the fans that turns into opposition to trap the air and making resistance. But its resistance level is average and it doesn’t necessarily increase when you apply more power. On the other hand, there is no adjustment to turn up or down the resistance at a level. Roller Trainers: The mechanism of roller trainers can be complicated to anyone and you need some basic knowledge to ride a bike over the three cylinders. Indeed, it was mostly used when the other innovative trainers hadn’t been invented. After placing the bike over the cylinder you must be aware about the balance while the progressiveness of the resistance is remarkably great. Magnetic Trainers: The magnetic trainer actually uses a magnetic flywheel from where the resistance comes when you power the wheel. 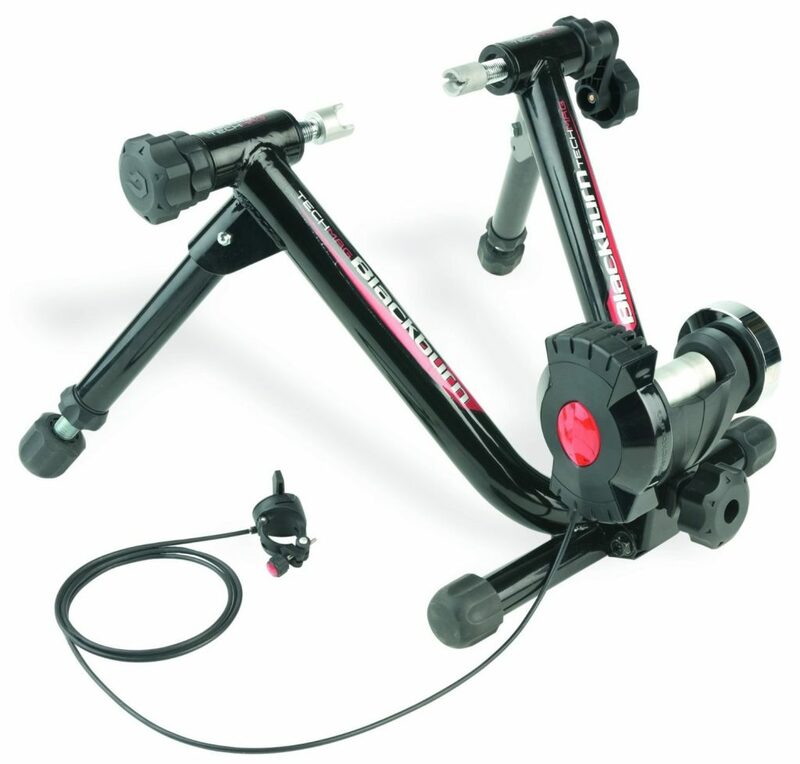 After the fluid trainer magnetic trainer is a well rated & popular trainer on the market. You can also switch the resistance level up or down on where you feel comfortable. These trainers mostly include a wired remote that is adjustable with the handlebar and you can maintain the resistance from this remote bar. 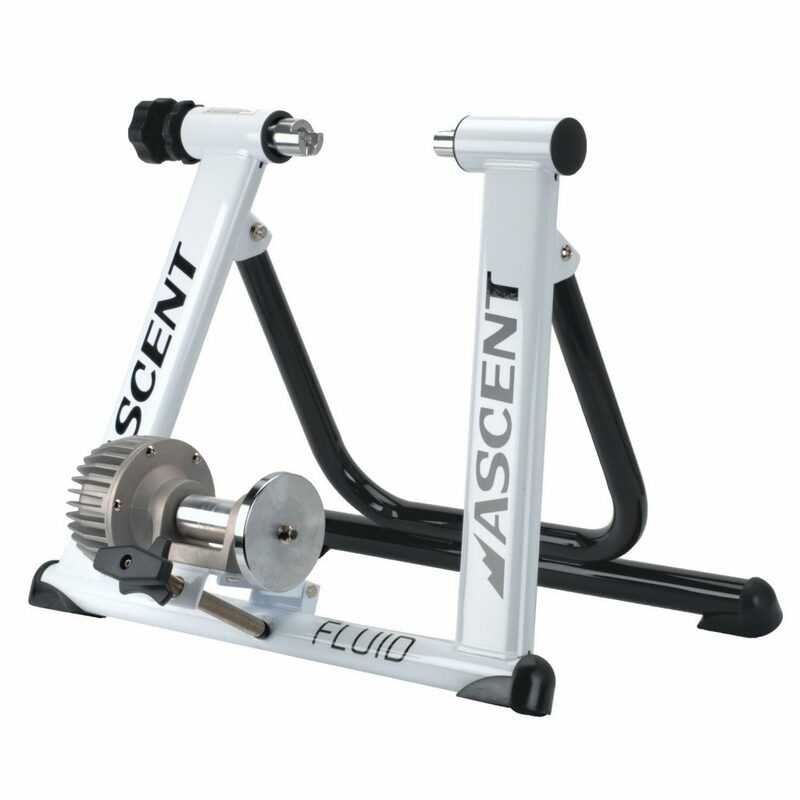 Fluid Trainers: The fluid trainer has been favorable to indoor trainers since the days it has been invented. The low noises, smooth and progressive resistance are the strongest sides of a fluid trainer while the resistance automatically becomes comfortable with the speed. It uses a fluid chamber from where the resistance generates. But some poor fluid trainers can leak the liquid what is cumbersome. 90% of the riders prefer fluid and magnetic trainers while the fluid trainers have minimal noises and efficient progressiveness. The magnetic trainers are a little bit noisier than fluid trainers and the progressiveness of the resistance just more than the average. Although the fluid trainers are expensive and the magnetic trainers come less than 100 bucks. But overall both models have numerous compatible sides and this is why your choice should be between them. Resistance Settings: All bike trainers generate resistance, but not all trainers have resistance setting options. Although the fluid trainers naturally generate smooth resistance and its progressiveness fairly better than magnetic trainers. Without any resistance setting the fluid chamber efficiently raises a fair dragging power to the wheel. But the magnetic trainers are mostly optimized to be maintained with different dragging power. A remote bar with a design like shifter can be switched by you to train the bike with a dragging level that you wish to have over the rear wheel. Leakproof Chamber: Only the fluid trainer uses a chamber with liquids for resistance. But sometimes the weaker chamber leaks the liquid what can dust the floor and the trainer can be damaged. Actually, when you fasten the power of pedaling it starts pressurizing into the chamber and sometimes because of excessive pressure the chamber leaks. But not all chambers wouldn’t be like that, a durable chamber with accurate construction can eliminate this problem. Stable Frame: The frame is forced to take a user’s pressure and of course his/her bike. So it demands a foremost stability and adequate durability. When you spin the wheel from your bike you need to take a strong position over your bike and if the frame vibrates or tends to move, it is quite problematic. The wider base and strong structure can eliminate the 100% of this problem and make sure the feet are capped with rubber cup. So it would be floored like it is glued to the floor. Fold ability: The trainer consumes some space over a floor what may not problematic. But what can be problematic when you need storage and portage. The fold ability can quietly eliminate this problem. Most of the trainers have this handy option and it’s a clever space saving method. Noise Level: Mostly you own a trainer to enjoy its advantages, but not to be bothered or bothering anyone. The lower the noise is, the better perfection in bike training. Fluid trainer is ahead for having remarkable low noises, although the magnetic trainer wouldn’t be like as the fluid trainer in it. But it at least is not louder and the noise level is not out of your tolerance. Now you may sure the effectiveness of a bike trainer and if it’s all about the effectiveness, then these 10 are the best of them that understand the absolute requirements of training. So read at a glance and decide what is the right and compatible training equipment for you.